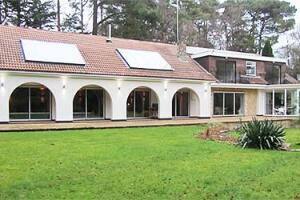 We have a unique Bed & Breakfast set in park like grounds adjacent to Branksome Chine. We are a short walk to Branksome Beach, and near to Bournemouth & Poole Town Centres. If you are looking for a home from home, with all the comforts and non of the hassle then Branksome Wood House should be your first choice.